… could build a robot with teammates in Turkey? … were researching water policy with students in Israel? … and your peers in Australia designed a climate change awareness campaign? … could do all of this and more without even leaving campus? Global Classrooms are virtual, project-based courses offered in collaboration with partner universities abroad. Learn, share, and work together with peers from around the world to tackle global problems and design tangible solutions. Create deliverables with real-world applicability. Grow your international network of like-minded future colleagues, and prepare to make a positive impact on the issues of our time. Learn more about our current Global Classroom courses and apply to globalize your undergraduate experience! Course Description: This course focuses on how to operationalize public health field research/practice on the ground in Bangladesh. The public health threat that will be addressed is solid waste management in Dhaka. With a landmass equivalent to the State of Wisconsin and the world's eighth largest population, Bangladesh is the most densely populated country on the globe. This course will give students the opportunity to collaborate virtually with students in Bangladesh. Course Description: Afghanistan has been at the center of U.S. and international attention since September 11. This seminar will examine the development and evolution of U.S. policy toward Afghanistan, including the impact of the death of Osama bin Laden on the U.S. strategy. This seminar will also examine the history of Afghanistan and its political figures. In addition, the seminar will explore the current challenges facing Afghanistan such as weak governance, widespread poverty, pervasive corruption, the burgeoning narcotics problem, and lack of respect for the rule of law. 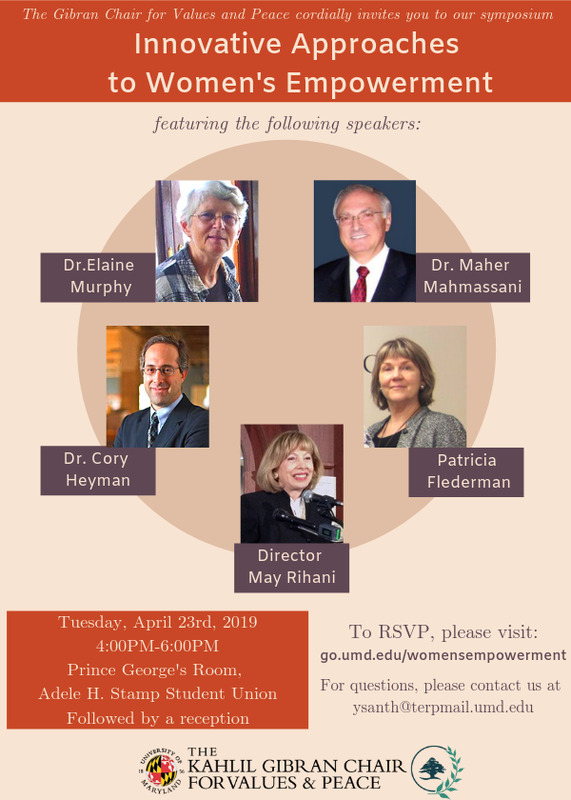 Students will also have the opportunity to hear different perspectives on the conflict in Afghanistan from current and former senior officials in the U.S. Government. Additionally, students will have the opportunity to engage with undergraduates studying in Afghanistan to better understand the indigenous perspective on the war and the U.S. presence in Afghanistan. This is a Global Classroom course. There will be approximately 3 to 4 classes where this course will meet on a Saturday or Sunday morning for videoconferencing with students in Kabul, Afghanistan instead of meeting at its normal weekly time on Thursday nights (exact dates and times are TBA). Course Description: The purpose of this global graduate class is to train and disseminate knowledge to the participants on the food safety and security. The main subject will be application of risk assessment to ensure food safety and food security. This course will improve the ability of participating students to accept various ways of investigating and solving food safety challenges. This international course on food safety and food security will assist the students from UMD and Cairo University to collaborate together to solve an international challenge. UMD students will experience, firsthand, the knowledge, belief and attitude toward food safety from other students from the Middle East and vice versa. This course will be a virtual and all lectures, assignment, quizzes and group projects will deliver by web-based technology. All course participants will interact, communicate, view and discuss presentations, and engage with learning resources while working in groups, all in an online setting. The purpose of this course is to provide fundamental knowledge of building sciences for the development of high-performance buildings utilizing energy modelling and simulation technology and Life Cycle Assessment technology as a design method and process. Occupant comfort is also assessed using the field testing method. In this course, students will learn knowledge and collaborate with each other to develop high-performance buildings, resulting in energy savings and environmental protections through greenhouse gas emission reductions. Throughout the course, students will work in groups to propose high-performance renovation design options that improve the existing building energy efficiency and reduce environmental impact. The course will be a combination of broadcasted lectures and video conference between students. Course Description: The objective of the course is to identify challenges faced by farmers in Nimba County, Liberia, and work collaboratively across borders to discuss these challenges and develop extension education programming that will be implemented in the region in order to empower local farmers. The course is designed to create a paradigm shift for both cohorts of students who will educate and learn from each other in what is now becoming a critical context - the globalized workspace. UMD and LICC students will be grouped together to identify and develop particular thematic areas most needed by local farmers, and then as a cohort create a week-long extension program to be implemented on the ground. For more course information or to obtain permission to enroll, contact Jill Janofsky at jjanofsk@umd.edu. Course Description: Political and literary traditions that intersect in the fiction, poetry, and drama written in English by Caribbean writers, primarily during the 20th century. Course Description: Students from the two partnering universities will form international groups to collaboratively work on the collection and analysis of Big Data to answer immigration-related research questions. Course Description: This course focuses on how to operationalize public health field research/practice on the ground in Bangladesh. The public health threat that will be addressed is solid waste management in Dhaka. With a landmass equivalent to the State of Wisconsin and the world's eighth largest poulation, Bangladesh is the most densely populated country on the globe. This course will give students the opportunity to collaborate virtually with students in Bangladesh. Restriction: Senior undergraduates may enroll with instructor's permission. Course Description: Considers indigenous peoples and their relation to the lands on which they live, issues of traditional indigenous knowledge and land management as well as new contributions by indigenous peoples to changing landscapes. Reviews legal mechanisms and instruments through which indigenous peoples have rights to the resources they occupy and utilize. Taking specific cases and examining them through the lens of political and social ecology, tthe role of indigenous peoples in local and worldwide conservation efforts is considered. Case studies will emphasize the indigenous peoples and conservation policies of Latin America. Course Description: Topical architectural design studio with concentration on advanced topical inquiry addressing but not limited to: architectural competitions, sustainable design, theoretica/conceptual issues, programmatic, contextual, and/or technical issues. Restricted to ARCH, URPD or ARCP majors. Course Description: Most course activities will be conducted online, but students will be expected to meet in person 6 times out of the semester. During these sessions, students will interact and learn with students and faculty from Hong Kong Polytechnic University and the Royal University of Phnom Penh (Cambodia) in a virtual classroom environment. Please visit, go.umd.edu/lspglobal or contact instructor, aspear@umd.edu, for more information. Course Description: Serves as one of the two capstone courses for the Minor in International Development and Conflict Management. Focuses on advanced theory and the practice and profession of international development and is designed to provide students an introduction to, and a chance to engage with, a core set of practical skills relevant to the field. This course will help students gain a cross cultural understanding of child development and poverty in different contexts (U.S. and Chile). 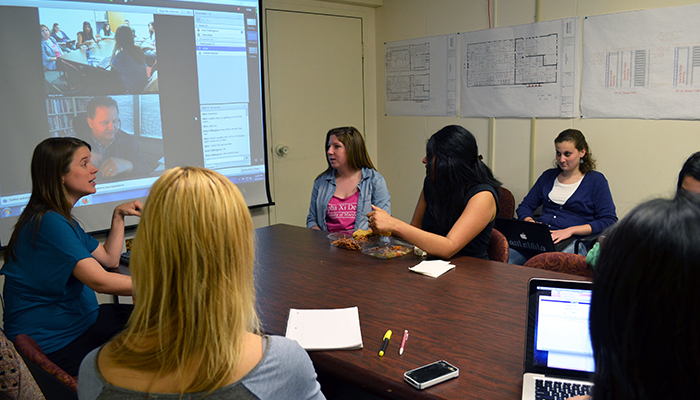 Through the use of technology, UMD students will interact directly with their peers in Chile. Course Description: Exploration and understanding of ways science and technology shape and are shaped by society. Offered for the first time, course participants will learn and investigate STS concepts and case studies in collaboration with engineering faculty and students from the University of Cuenca in Ecuador. Throughout the course, UMD and Ecuadorian student teams will work on a research project for the College Park Scholars Academic Showcase in May 2018. Course Description: This course is a global learning experiment that joins students and faculty from the University of Maryland, Hong Kong Polytechnic University, and the Royal University of Phnom Penh in a virtual, interactive environment. Students will explore the role of socially responsible leadership in a global context in response to the question, “How do we learn to understand, examine, and address complicated global problems while working with highly diverse groups of people and perspectives?”. This course uses a selected global issue as a means to explore the complexity of the issue and develop understanding of and leadership skills in diverse, multicultural and global environments. Students will learn and work virtually with international partners to explore and critically examine the issue and present briefings on the various challenges, options and views surrounding it. As a final project, students will apply problem-solving skills and use their personal, acquired, and co-constructed knowledge about leadership, intercultural competencies and the global issue to respond to a live case study with recommendations for stakeholders. Course Description: This course builds on the foundation concepts of quality and substantially broadens our field of view to include a global perspective on quality. Specifically, we consider the subjective, customer-created definition of quality and the social and cultural forces that shape customer perspectives. We explore the differences in quality perceptions between US and non-US consumers, the sources of these differences, and the challenges they present in measuring expectations, performance, and customer satisfaction in a multinational business environment. This project-based course will examine international quality standards and cross-cultural measures of equivalence. Open to QUEST program students. Instructor permission is required for non-QUEST students. This is a Global Classroom course. There will be approximately 4 or 5 weeks where this course will meet on Sundays for teleconferencing meetings with students in Kabul, Afghanistan instead of meeting at its normal weekly time on Thursday nights. Restriction: Graduate students with a preference for College of Education students. Course Description: Immerse yourself in the complex global education and social issues facing the world today. The course combines both a virtual learning environment with a travel component to Cuba. In these environments, students will have the opportunity to conduct international research related to their academic interests and receive feedback from an international audience. The workshop style of the program allows you to engage with local Cuban educators through scholarly lectures, collaborative exchanges, interviews, and site visits. Course Description: Focuses on the relationship of language and culture of those operating in world markets. Particular attention will be given to cross-cultural communication, linguistic systems, and culture specific perceptions of the Hispanic world. Restriction: Permission of ARCH-Architecture Program. Course Description: Topical architectural design studio with concentration on advanced topical inquiry addressing but not limited to: architectural competitions, sustainable design, theoretical/conceptual issues, programmatic, contextual, and/or technical issues. Course Description: Spatial patterns of employment and populations, and models of urban and regional growth and decline. Focus on application of economic theory and urban planning techniques to issues of local economic development and planning. Course Description: An introduction to linguistic variation and the construction of identity, relationship, and community membership through language use. The approach emphasizes language as community-based practice and examines the dynamic construction of social relations through linguistic interactions. Global Classrooms are credit-bearing semester-long courses. Please contact your advisor to see how your chosen global classroom fits your academic plan. For more information on the Global Classrooms Initiative, contact Dr. Raluca Nahorniac in the Office of International Affairs. Learn more about our past Global Classroom courses.